Get in the Halloween spirit with a spooky Nick Jr. cake. Who says gingerbread houses are only for Christmas? 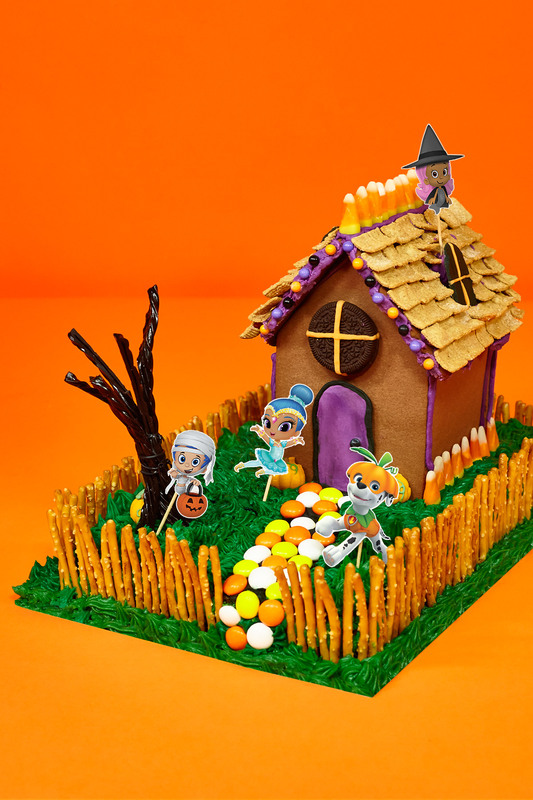 I grew up making cookie houses for every holiday, and Halloween was no exception! To get started, you’ll need to make the walls of your house, but I prefer to buy a pre-assembled cookie house, like this one found at Party City. From there, let your creativity run wild! In my version, I used regular frosting to adhere the candy details and placed my house on top of a standard 13 x 9 cake to create the front lawn. Candy corn and colored candies make excellent decorations and pretzel sticks make the perfect rickety fence. I personally love using cereal squares as roof shingles. As for the tree? Just plain ol’ black licorice! It’s amazing how creative you can get with the items already in your kitchen. Don’t forget the finishing touch–your child’s Nick Jr. friends in their Halloween gear! 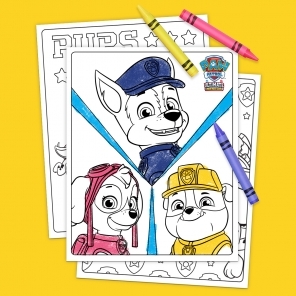 Use this printable to add Shimmer and Shine, Blaze, the PAW Patrol pups, and more to your creation.